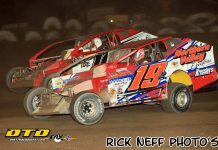 AFTON, NY – One of the most important racing nights of the year comes up this Friday night July 13th at Afton Motorsports Park when Mid Season Championship night takes place. There will be championship points awarded in five of the six weekly divisions based on their feature finishes, there will be no increase in admission and no increase in feature race distance. 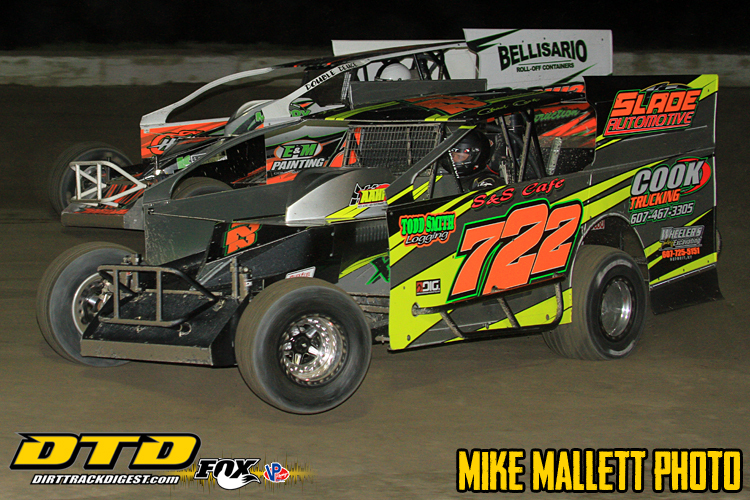 The IMCA Modifieds are the only division that are not receiving double points as their points are awarded under national IMCA rules. In competition on this night will be the ZMK Construction Modifieds, Chambers & O’Hara Open Sportsman, Butler Auto Sales Crate Sportsman, The Trophy Guy IMCA Modifieds, Rinker Insurance Agency Street Stocks, and Four Cylinder Trucks. On Friday July 13th pit gates will open at 4 pm with grandstand gates opening at 4:30 pm. Hot laps will start at 6:15 pm and the first heat goes green at 7 pm. Pit admission is $30 with no license / membership required, grandstands are $12 with seniors age 62 and up being charged $10, youth aged 9 to 14 are $5, and 8 and under are free with a paid adult admission. 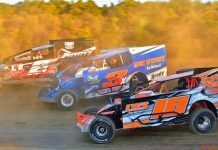 For more information on Afton Motorsports Park please log on to the World Wide Web at; www.aftonmotorsportspark.com or call us at 607 – 639 – DIRT or 607- 624 – 3772. Afton Motorsports Park is fast, fun, and furious…come check us out!